Most pregnant women take care to eat a healthy diet and do not consume things that they know to be potentially harmful alcohol, cigarettes, and raw meat, to name a few. Does that mean that a lot of pregnant women are totally healthy, without toxins in their body? Not at all, according to a new study, which concluded that as much as 99 percent of all pregnant women carries harmful chemicals in their body. That means only one percent is free of chemicals. 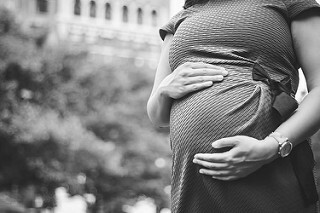 A research team took a closer look at data from the 2003/2004 National Health and Nutritional Examination Survey (NHANES) of 268 pregnant women across the United States. While that is a relatively small sample, their findings were still interesting nearly 99 percent had traces of at least 43 of 163 toxic chemicals in their blood! Dr Tracey Woodruff, who led the study, said: "We looked at data on 163 chemicals and found that many of them are present in virtually all pregnant women." What does that mean? That our food is not as healthy as we think it is? That toxins are all around us, in the air? Yes, and even more than that, the research team found. Among the most common chemicals found in pregnant women were BPAs that are often found in plastics, traces of pesticides, toxin sunscreen ingredients, flame retardants and others. Woodruff continued: "It was surprising and concerning to find so many chemicals in pregnant women without fully knowing the implications for pregnancy. Several of these chemicals in pregnant women were at the same concentrations that have been associated with negative effects in children from other studies. Besides, exposure to multiple chemicals that can increase the risk of the same adverse health outcome can have a greater impact than exposure to just one chemical." These results are quite shocking, aren't they? One has to wonder how traces of pesticides that were banned in the 1960s end up in your blood. Perhaps you received them from your own mother, when she was pregnant? Still, healthy eating is the right way to go when you are expecting. While concerns about toxins are among very legitimate pregnancy fears, you can still be as healthy as possible! Of course, there are environmental dangers to pregnancy that have nothing to do with chemicals too, as our earlier post Bronx teacher suffers miscarriage after breaking up a fight demonstrates. Can losing weight after birth save you from incontinence?